An online service called ParkatmyHouse.com is looking to relieve you the pain and hassle of parking when it isn't convenient. It's a service that essentially connects up individuals who have parking spots, driveways and the like with people needing a place to park. 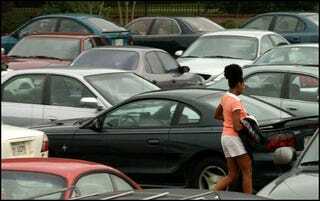 You got o the site and either offer up a place to park or look for a place to park, then make the arrangements from there. It's like online dating for cars and empty patches of concrete and asphalt.